Scicolone has a well earned reputation for no-fail recipes and having written several books for slow cookers has made her an authority on this popular cooking appliance. 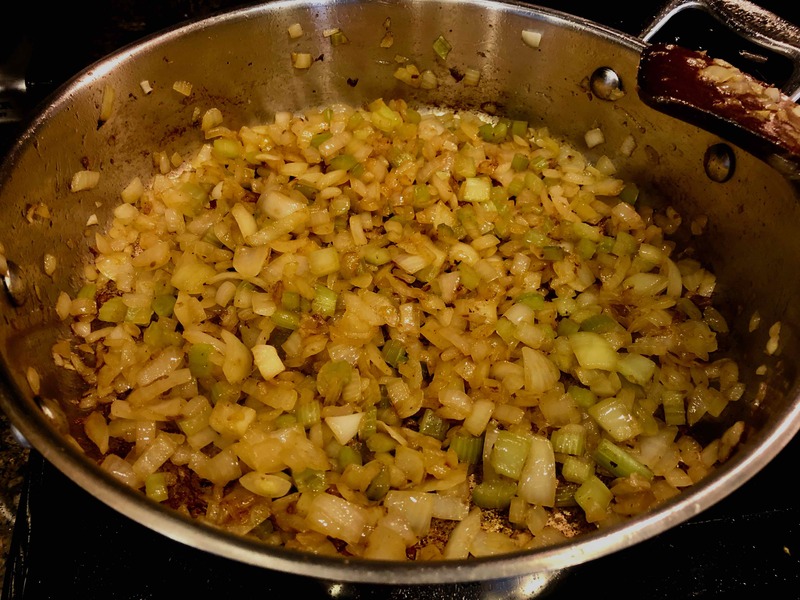 What intrigued me especially about the recipe was that it didn’t call for any seasoning other than salt and pepper and didn’t call for any herbs. 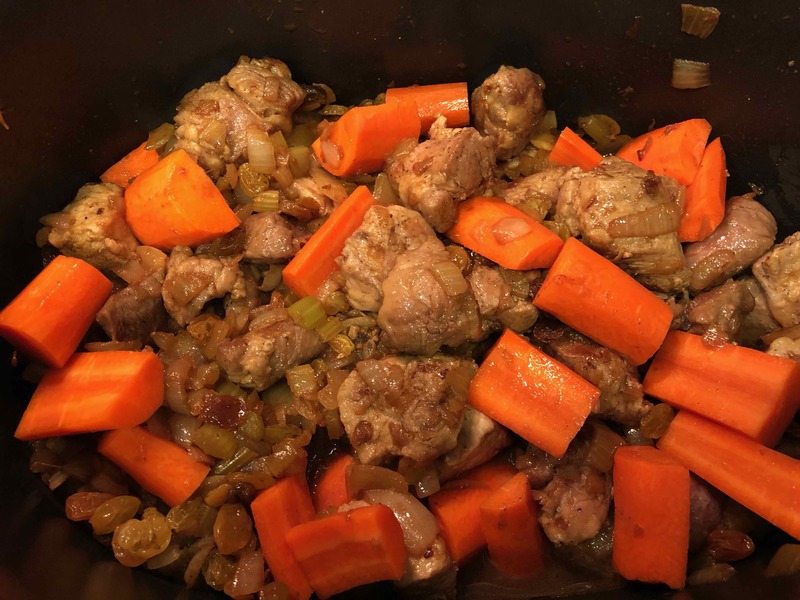 The stew’s contrasting bitter-sweet flavors evolve from the sweetness of onions, golden raisins, and carrots foiled by the acidity of wine and balsamic vinegar. 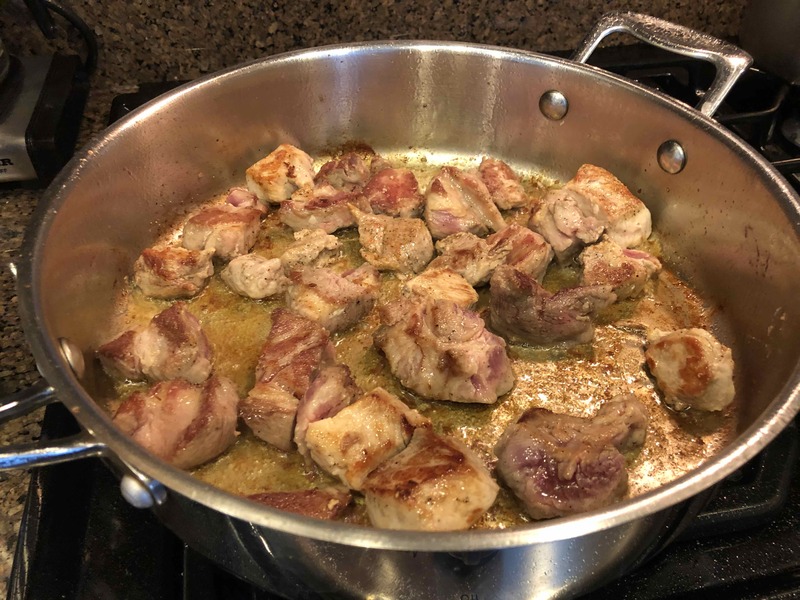 Succulent tender cubes of pork provide the perfect canvass for the gravy. 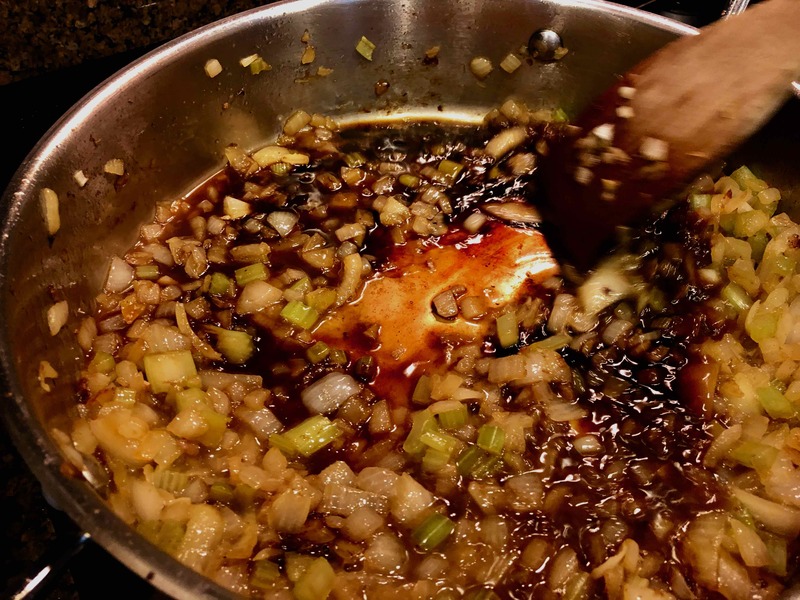 The vinegar is an essential component of this recipe and if it’s available, I highly recommend using one of the more full-bodied, concentrated, slow aged varieties. 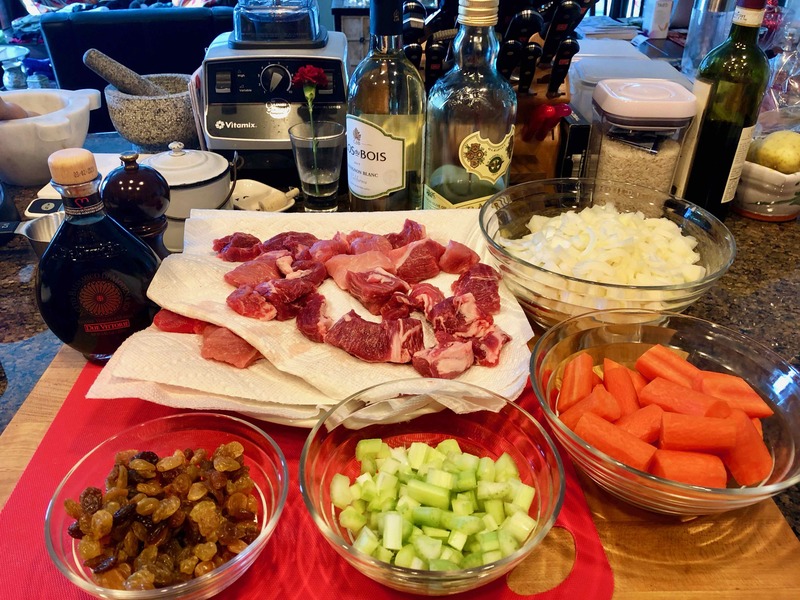 I paired the stew with a simple polenta and served with with a sprinkle of Maldon salt flakes. 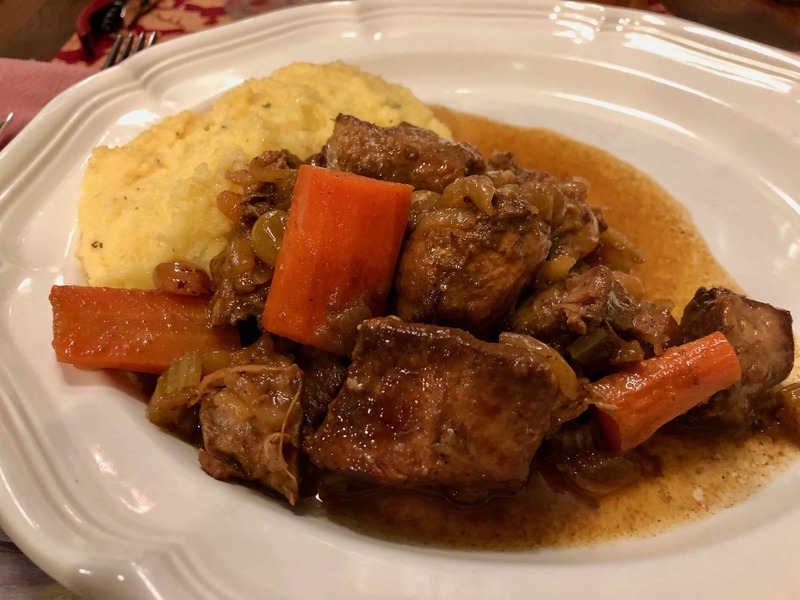 It was the perfect dish for a winter supper. 5. 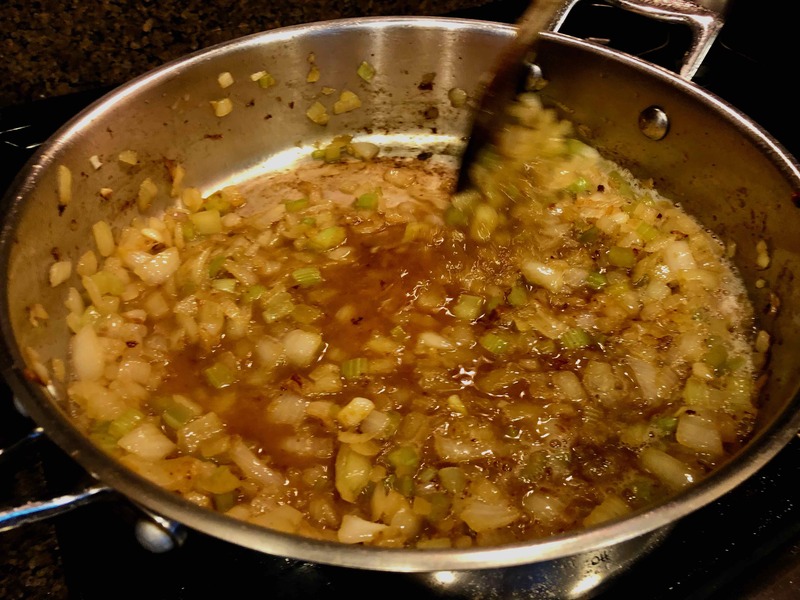 Transfer the onion mixture to the slow cooker. 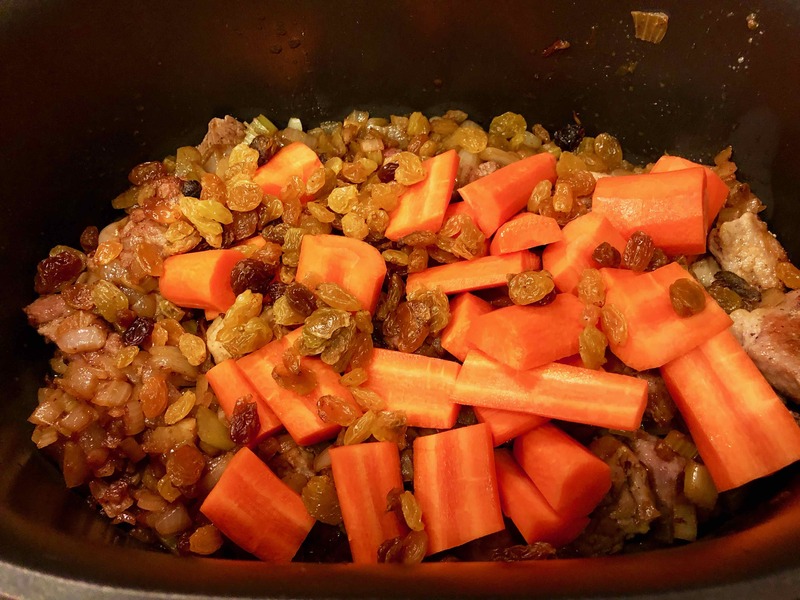 Add the carrots and raisins. 6. Cover and cook on low for 6 hours, or until the pork is tender. Serve hot. 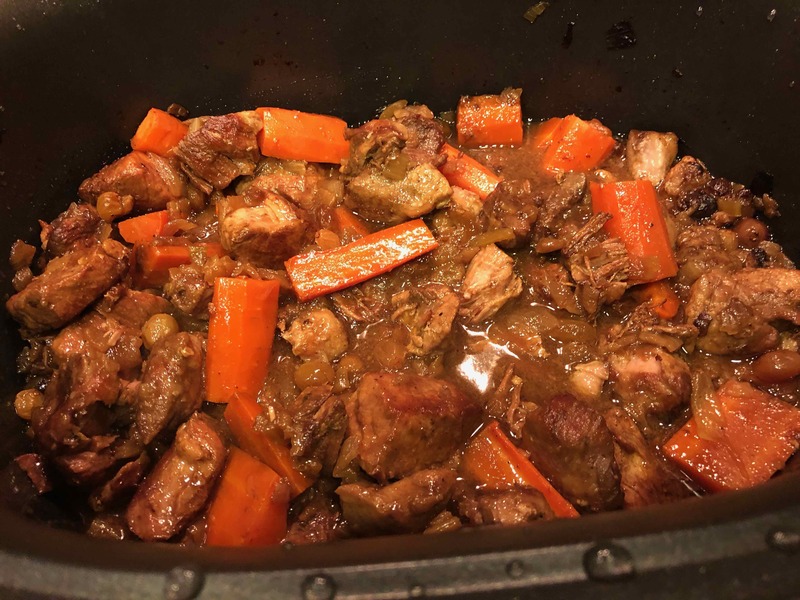 I love these warming winter stews, it looks absolutely delicious! Thanks so much. It’s a great recipe for this time of the year.